• Our bodies produce too much mucus which clogs our lungs and leads to life-threatening lung infections. • That same mucus obstructs the pancreas and stops natural enzymes from helping the body break down and absorb food. The predicted median age of survival for a person with CF is in 37.5 years old. Some people have lived into their 60's and 70's, while others will not live to see very many birthdays at all. The severity of the disease differs in each person with cystic fibrosis. My sister, Angela, was sick for the majority of her life and passed away at 16 years old. I, on the other hand, am in my 30's and have dealt with digestive complications all my life, but my pulmonary issues didn't become a problem for me until I was in my 20's. Same parents...different manifestation. Crazy, right? Our community is lucky to have several different cystic fibrosis organizations and non-profits that help families across the globe. Some provide hope by raising money for new drug therapies, medical treatments, and a cure for this disease, while others offer financial assistance, a way to connect with our community, and a positive outlook on what is a very serious illness. 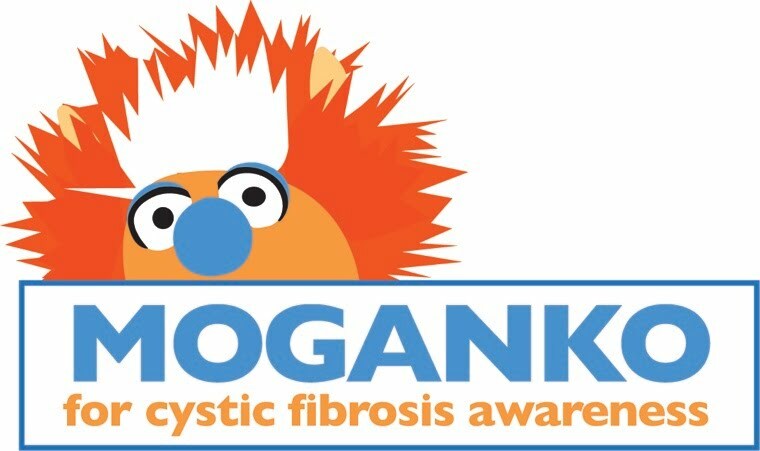 Enter Moganko, my CF Teaching Tool! I know these silly videos work because I have people from California to New Zealand that watch them! There was one special little boy named Conner Jones who made me see how important my videos were. Conner had a double diagnosis of cystic fibrosis and Prune Belly syndrome. Despite his struggles, he had a light and a spirit that would melt your heart. Conner loved Moganko and we formed a special puppet connection through videos and email. When Conner passed away at 7 years old in June of 2010, his parents, Sarah and Brad, told me that my videos lifted his spirits even in his final days. It broke my heart, but inspired me to continue these videos and start this project! I dedicate this project to my sister Angela, Conner Jones, the loved ones with CF who are still with us in our hearts, and the more than 70,000 people across the world living with cystic fibrosis!